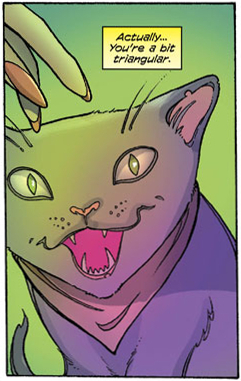 For the time being, Before Watchmen is over. The collected editions will be published soon, and we’ll have to wait and see if they turn out to be bestsellers. So far, it’s safe to say that the sales performance of the Before Watchmen comic books didn’t meet expectations, and the critical reception wasn’t enthusiastic either. On the other hand, I doubt that DC’s decision to pursue this project against the will of Watchmen creator Alan Moore will do them much harm in the long run. 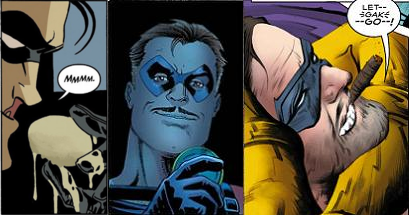 But will the Before Watchmen comics themselves be remembered? Here’s why I think they – or at least the four series I’ve read – should (or shouldn’t). Before Watchmen: Ozymandias by Len Wein and Jae Lee: No one really needed to read this story, which blends re-told scenes we’ve already read in Watchmen (e.g. the Crimebusters meeting) with scenes that Moore left untold – most likely because they simply weren’t that relevant (e.g. the Kennedy assassination). Probably most people were reading it only because of Jae Lee’s art anyway, which once more turned out to be stunning indeed. This is a relatively rare example of a superhero comic not story-driven or character-driven, but art-driven. Presumably, Wein’s and Lee’s strategy was to create something visually different from the original Watchmen comic, because they knew they couldn’t match it. While Ozymandias isn’t necessarily the best Before Watchmen comic, it’s maybe the most interesting one regarding the relationship between prequel and original. Before Watchmen: Minutemen by Darwyn Cooke: Now that was one plot twist that I hadn’t seen coming. The ending ties the story into a coherent package, making Minutemen a more self-contained comic than Ozymandias. The ways in which it relates to Watchmen are nevertheless intricate, too. More importantly, though, this is very much a Darwyn Cooke comic, particularly visually, and I can imagine it will be remembered as a logical continuation of his previous “retro” works, e.g. The New Frontier. Before Watchmen: Rorschach by Brian Azzarello and Lee Bermejo: The second half of this four-part series confirmed my suspicion that this was going to be a rather unexceptional story. 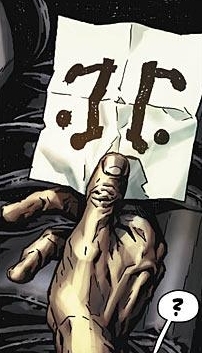 Maybe Azzarello wanted to indicate that the death of the waitress made Rorschach even less sociable, turning him into the character we know from the original series. And yes, the villain wearing Rorschach’s mask is a powerful scene. But apart from that, this comic is only recommended for people who want to exhaustively survey the Azzarello/Bermejo cosmos (or the whole Before Watchmen “event”, for that matter). Before Watchmen: Silk Spectre by Darwyn Cooke and Amanda Conner: I’ve already reviewed the complete series, and I still think it’s a solid comic, as long as you don’t compare it to Watchmen. If Amanda Conner’s comic output continues on such a high level of quality, Silk Spectre might go down in comics history as the series that put her name on the map for many readers. The final issue of Before Watchmen: Comedian has been reviewed by Jesse Shedeen at IGN and Matthew Peterson at Major Spoilers. For Before Watchmen: Dr. Manhattan, see this favourable review of #4 by Poet Mase at IGN. If you’re interested in Before Watchmen: Nite Owl, I recommend the review of the final issue by Greg McElhatton at CBR. Before Watchmen: Silk Spectre tells exactly the story you would expect from a prequel: an origin story. In the case of Laurie, the second Silk Spectre, a suitable ending of her story is obviously the Crimebusters meeting in 1966 (Watchmen #2, p. 9, and Watchmen #4, p. 17), and indeed this is the final scene in Silk Spectre #4. But where to begin, when the protagonist has been trained from earliest childhood to become a superhero? Darwyn Cooke and Amanda Conner have invented an episode in Laurie’s life that fulfils that purpose of an origin story: she runs away from home, goes out crime-fighting at night on her own, and defeats her first villain (a drug dealer). This narrative outline is the most successful of all the Before Watchmen books, because it is the most self-enclosed story while still serving as a prequel to Watchmen. Minutemen and Ozymandias suffer from being too intricately interwoven with the original story, whereas the story of Rorschach seems too detached from the events in Watchmen to appear meaningful (at least so far). However, the connection between Silk Spectre and Watchmen isn’t one of simple succession either. On the one hand, there are a lot of allusions, both visual and verbal, to events in the past (i.e. before Silk Spectre) involving Sally Jupiter and the Minutemen. 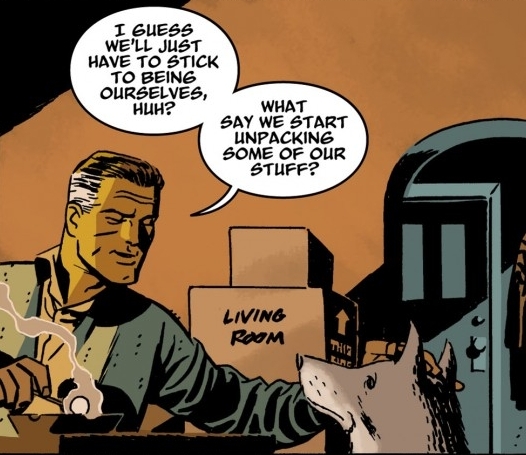 On the other hand, there is a lot of foreshadowing, my favourite instance being in issue #3 where one character says to Laurie, “I want you to live like the world’s gonna end… I dunno. Maybe tomorrow. Maybe in six months. Maybe in nineteen years.” – 19 years from 1966, that’s 1985, when the world almost comes to an end in Watchmen. That being said, the connection to Watchmen isn’t entirely unproblematic: for example, I find it hard to believe that the whole story of Silk Spectre takes place in only a few months. And yet it must be so, because it starts on an unspecified day in 1966, and in May 1966, Laurie is already on patrol with Dr. Manhattan (Watchmen #4, p. 18). Visually, Silk Spectre comes closer to the rigid nine panel grid of Watchmen than the other Before Watchmen books, but apart from that, the styles of Amanda Conner and Paul Mounts are a far cry from those of the original artists, Dave Gibbons and John Higgins. Both the art and the writing have a certain lightness to them, which creates an atmosphere far more cheerful than that of Watchmen. But wasn’t precisely that grim and gloomy tone one of the greatest achievements of the original series?